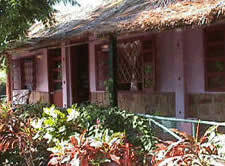 - The Tropicana Resort welcomes you to its peaceful and exquisite resort on Long Beach Phu Quoc Islan. The Tropicana Resort, covers an area of 20,000 m2 with beautiful privatte beach allows the clients total privacy and shelters the guests from all noise & pollution of modern life. The resort has 28 bungalows and 6 rooms are gracefully decorated in the traditional Vietnamese style with high grade wood and luxurious rattan furnishings, all set amidst coconut trees on a white sandy beach. - With convenient communication, nice view, fresh environment, well-furnished accommodation and very coureous qualified staffs, Tropicana Resort is honored to please you at the hight standard of service and hospitality. 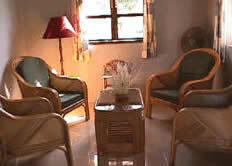 Tropicana Resort, a home away from home, would you to be our very special guests. 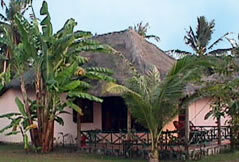 - Rates are included Breakfast, Airport Pick Up, Services and Taxes. 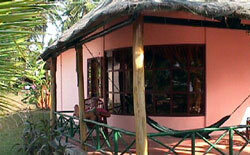 The Bungalows are equipped AC, hot water, mini bar, Dbl bed or Twin Beds. - Delicious dessert such as cooked bananas, ice creams, crepes and more ..